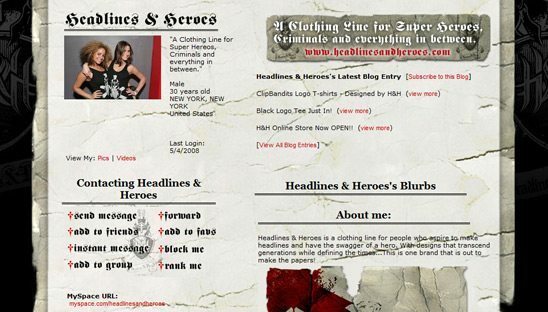 Headlines & Heroes is a clothing line for people who aspire to make headlines and have the swagger of a hero. With designs that transcend generations while defining the times…This is one brand that is out to make the papers! This is our 1st standard myspace page we have designed. Its considered our Myspace Basic Page Design. It’s the cheapest of all our packages.